Good design takes a LOT of work. 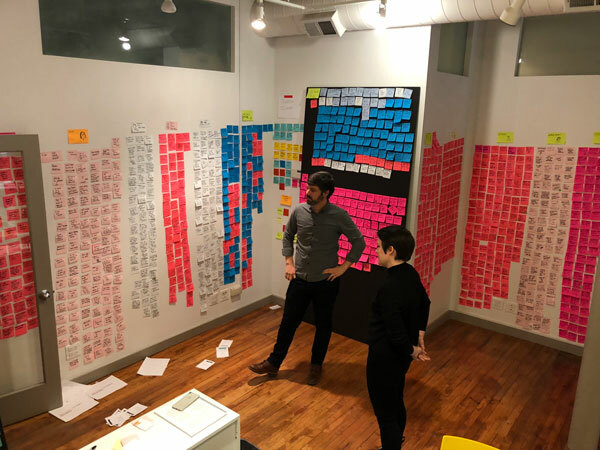 Who knew that it also involved thousands of Post-it notes and required a giant room full of wall space? We have to admit that we didn’t really give much thought until Eli Sidman and Anna Brenner from Devmynd.com contacted us a few months ago. They were designing a new app. The project itself was pretty open ended at that point but they knew that they needed to better understand the accessibility challenges facing wheelchair users and their caregivers before they got started programming. When they came to NYC, could we hook them up with some local experts on the subject? We introduced them to our friends at the Axis Project and they spent a day with our favorite PT/aka Guru of Fun, Lawrence Harding and took a tour of the cool exhibit at the Cooper Hewitt Museum called Access +Ability. We wanted to thank you again for connecting us to Lawrence Harding a few weeks ago. We learned so much from chatting with him and he connected us to a caregiver and showed us around Axis Harlem. The experiences he and the caregiver shared have given us a better understanding of what to build and how we might build it. We wanted to give you an update on how the project has been going and share what we’ve been up to back in Chicago. 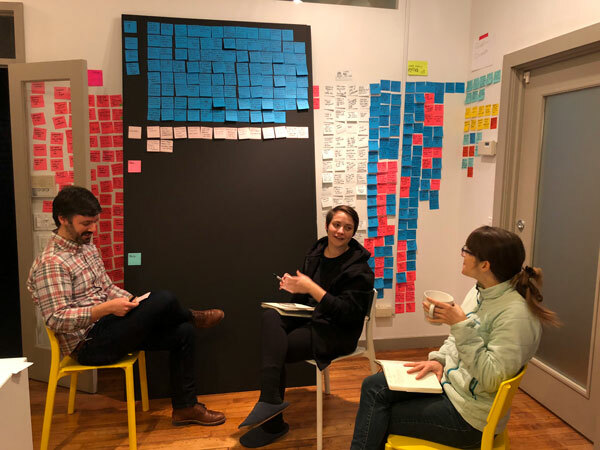 We talked to over 35 people in three weeks in three different cities (Chicago, Los Angeles, and New York), visited symposiums and exhibitions, and have been working on turning those stories into a digital product through our design process. ​After conducting interviews, we started to synthesize each story. We have found this is best done by creating a space where everything we heard is physically present on the walls of our office. 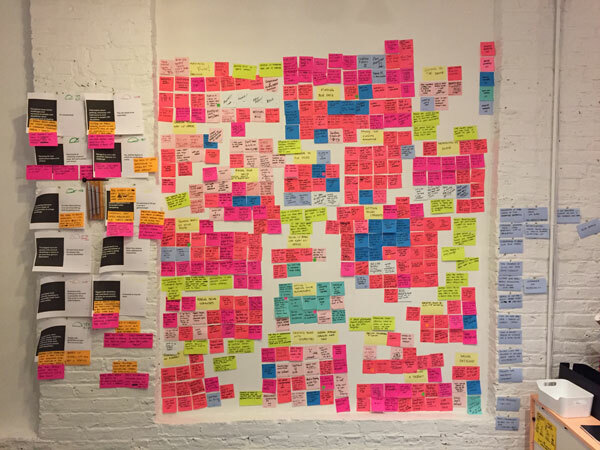 As we shared interviews with each other we took notes on stickies and hung them on the walls. Once all of the stickies were up, we began shuffling them around and clustering them into themes. This helps to understand the bigger picture and see how an app can solve the problems we heard. With over 3,000 post it notes(! ), it has been an exciting challenge to analyze all of the knowledge and information that was shared with us. At this point in the project, we are working through different ideas and possible software features related to the conversations we had, and are starting to sketch out app concepts. When we have prototypes we will reach out to ask for feedback on these concepts. Your feedback will be crucial for building a useful tool. Thank you again for taking the time to help us! You can help with the project by taking a short Venue Accessibility Survey.